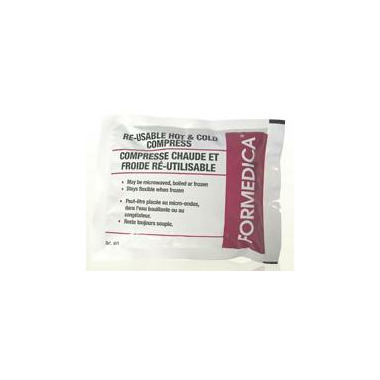 FORMEDICA’s hot and cold gel compresses provide effective relief from minor burns, sprains and muscle inflammations. They also quickly soothe pain due to cramps and fever and relieve tension and stress-related aches and pains. Cold Therapy: Recommended in the treatment of inflammation caused by tendonitis, strains, sprains, as well as for minor burns. Hot Therapy: Increases the flexibility of soft tissues, including muscles and connective tissue. Recommended to ease pain due to: arthritis, spasms and cramps.